Given the amount of time people spend face down in their smartphones, swiping on their iPads or glued to their laptops, life without the internet seems hard to imagine. For most millennials, the time before the web is a very distant memory, one that’s been eviscerated by the ubiquity and life-changing impact of connected technology. It isn’t just millennials; research has found that society as a whole generally considers the concept of a world without email, social media and so forth unimaginable. The polling was conducted by Ipsos to gauge public attitudes towards technology and it found that 73 percent of Americans cannot imagine life without the internet. 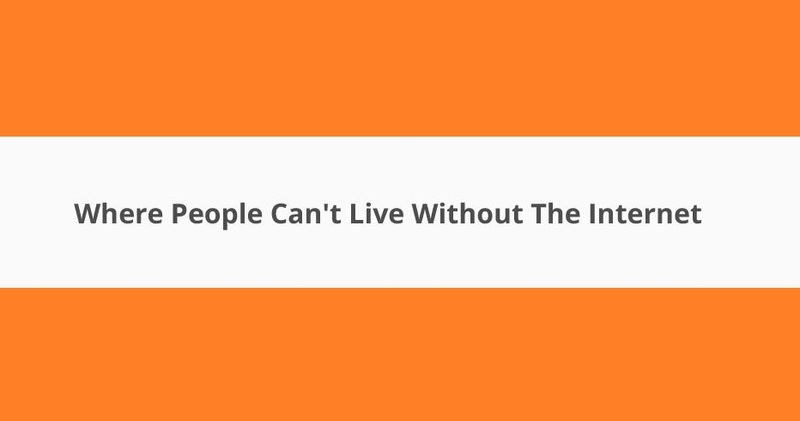 18,180 people were surveyed across 23 countries, and more than two-thirds of them said they cannot imagine a life that isn’t prefixed by www dot. 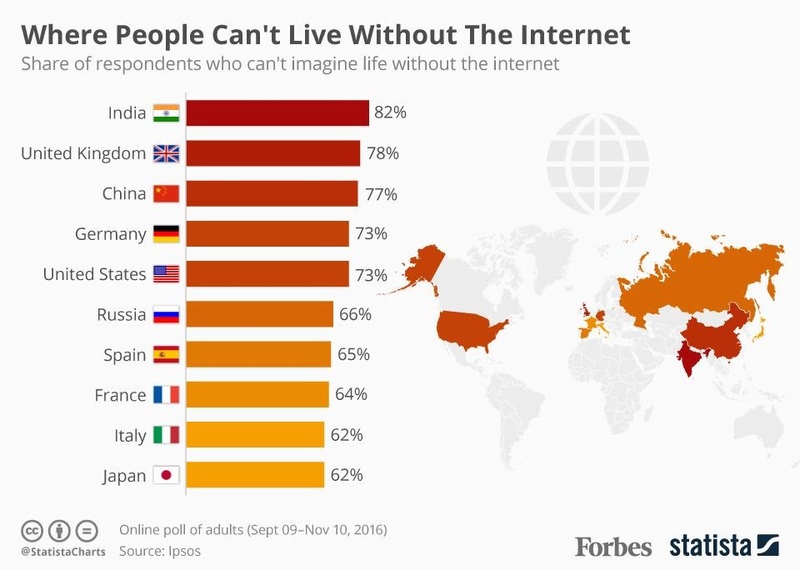 Out of all countries polled, India had the highest share of people who couldn’t comprehend an unconnected life at 82 percent. In Italy and Japan, the share was considerably lower at 62 percent.